Are you ready for more ULTRAAA COMBOS? 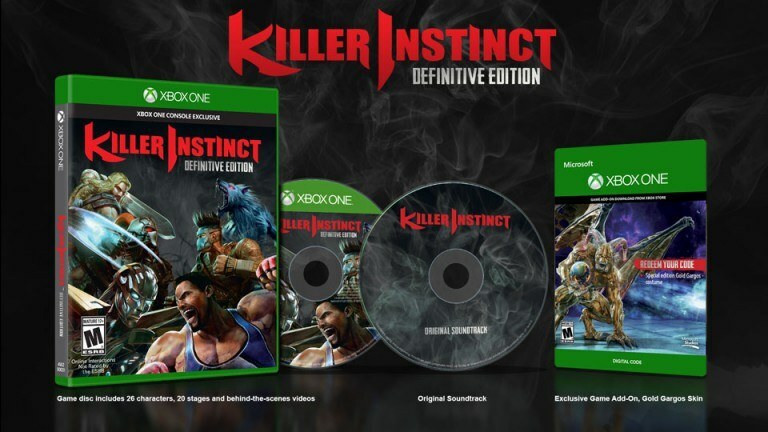 After three incredible seasons of Killer Instinct on Xbox One, and most recently launched for Windows 10, we’re excited to announce that we’re packing up all the KI goodness into one incredible package—Killer Instinct: Definitive Edition—launching in-stores and on the Xbox Store on September 20th. Killer Instinct: Definitive Edition is packed full of amazing value – for USD$39.99, fans get ALL the characters and content of Seasons 1, 2 and 3. That means every single one of the 26 characters (including special edition Shadow Jago); and all 20 gorgeous, visually-upgraded stages, with intense stage destruction. Fans who pick up Killer Instinct: Definitive Edition in stores will receive a bonus Original Soundtrack CD, and an exclusive character skin: Gold Gargos. Killer Instinct: Definitive Edition is available for pre-order at your local retailer starting today! Fight On!